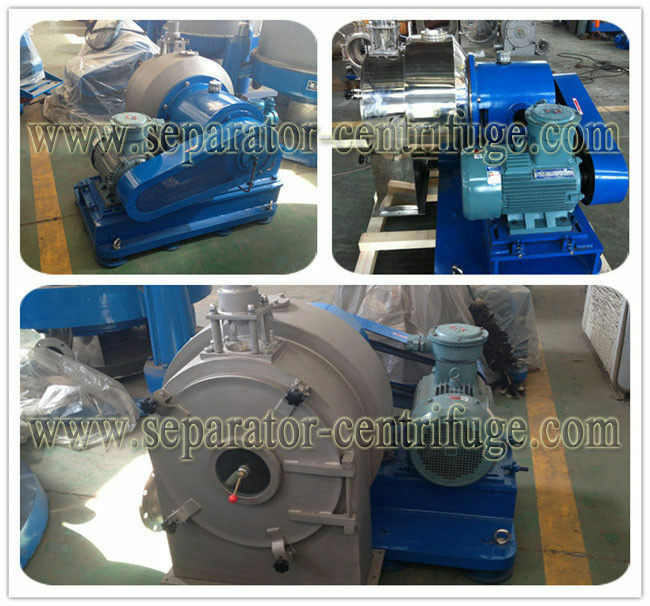 Model PWC centrifuge is a type of horizontal, spiral discharging filtrating equipment with continuous operation. With the drum and the helix rotating in the same direction at high speed difference, the material is continuously led, via the feeding pipe, into the inner cylinder of the spiral feeder and, after acceleration, enters the drum. Under the action of the centrifugal force field, the liquid phase passes through the filtrating medium and is discharging out of the machine, while the solid-phase material is retained inside the drum and forms the filter residue. 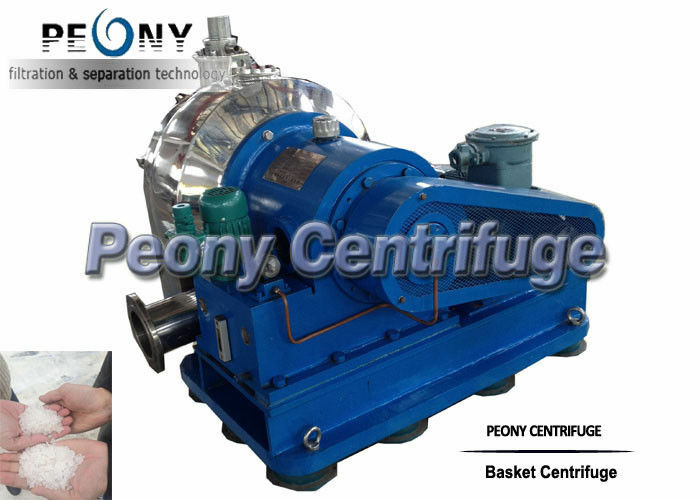 Under the combined action of the conic surface component force of the centrifugal force and the spiral feeder, the filter residue continuously moves towards the big end of the drum and is discharged out of the machine through the discharging trough. 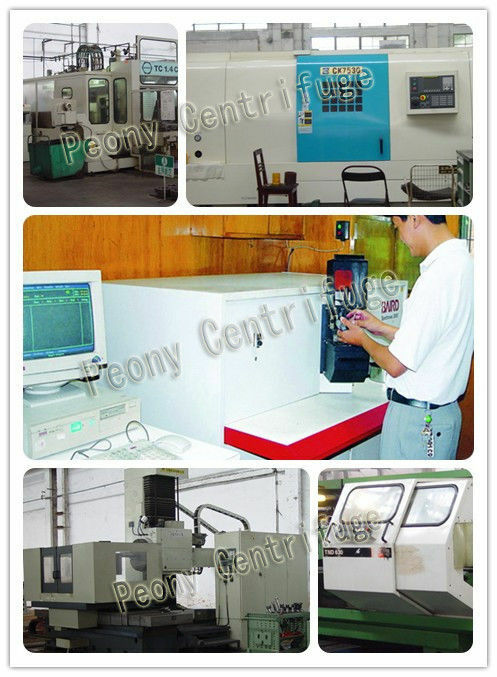 This machine is capable of continuous feeding, separating, washing and discharging during the full-speed running. It has such features as compact structure, small space occupancy, continuous operation, smooth running, strong adaptation, large handing capacity, low moisture content in the filter cake, etc. 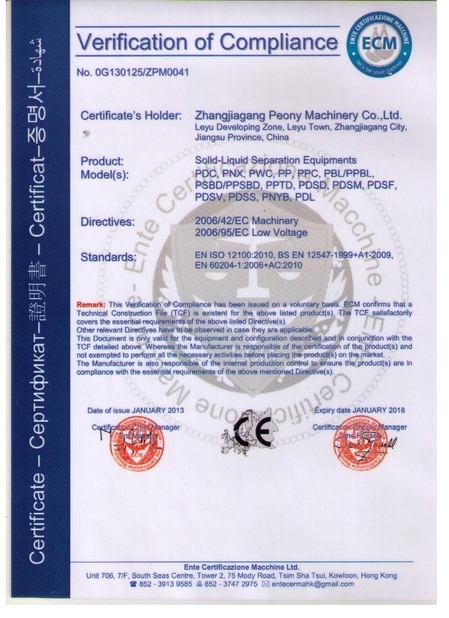 It is applicable to the separating of suspension liquid containing the solid-phase material with the granule size greater than 0.1 mm and concentration being 25! 75% or the separating of short fibers. It has found wide applications in such industries as chemical, salt making, alkali making, environmental protection, etc.